Set the paper type to "heavy," even if you print labels or other paper types. 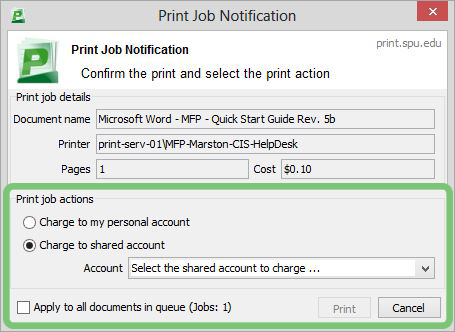 Load the paper in the bypass tray prior to releasing the print job at the MFP. 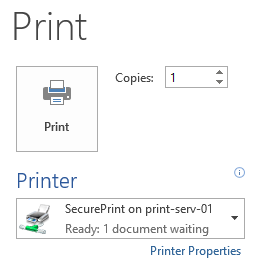 Click File -> Print and select SecurePrint. In other applications it may be called Properties, Print Properties, Preferences, Options or something similar. A new dialogue box will open. Set the proper settings needed and select the bypass tray. 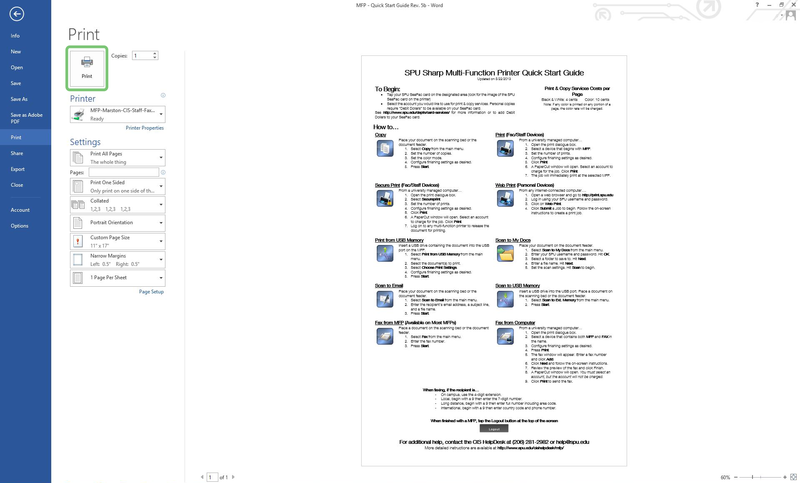 Make sure you have properly specified the paper size your job will be printed on. Load paper in the bypass tray. Log into the machine and release your pending job.